Ukraine must adhere to its international obligations on non-proliferation of weapons of mass destruction and prevent the sale of ballistic missile technologies to third countries, the Russian Foreign Ministry said Monday. MOSCOW, April 7 (RIA Novosti) – Ukraine must adhere to its international obligations on non-proliferation of weapons of mass destruction and prevent the sale of ballistic missile technologies to third countries, the Russian Foreign Ministry said Monday. 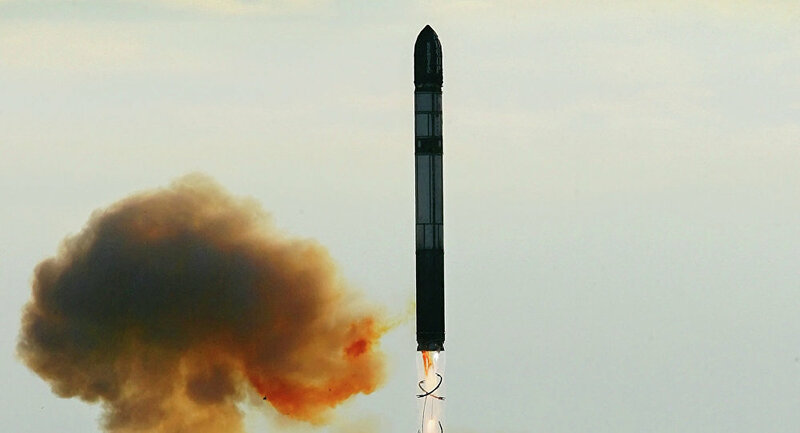 The ministry cited a number of media reports alleging that the Yuzhmash company, based in the Ukrainian city of Dnepropetrovsk, is holding talks with foreign clients on the sales of technologies involved in production of RS-20 Voyevoda ballistic missiles. “Ukraine, being a member of the Missile Technology Control Regime (MTCR) partnership and a signatory to the Hague Code of Conduct Against Ballistic Missile Proliferation (HCoC), bears serious political obligations,” the ministry said in a statement. The ministry urged the new Kiev authorities to be extremely cautious in its decisions to trade technologies related to ballistic missiles with payloads exceeding 500 kilograms and firing ranges of over 300 kilometers (over 180 miles). “We expect that despite domestic political difficulties in Ukraine and the absence of legitimate supreme authorities, the country’s incumbent leaders show due responsibility and abstain from moves that undermine the existing regimes of non-proliferation of weapons of mass destruction and delivery vehicles,” the ministry said. The MTCR is a voluntary association of countries which declare their commitment to non-proliferation of unmanned delivery systems capable of delivering weapons of mass destruction. The HCoC is a multilateral code of conduct, whose signatories voluntarily commit themselves to provide pre-launch notifications (PLNs) on ballistic missile and space-launch vehicle launches (SLVs) and test flights. A heavy Voyevoda (SS-18 Satan) missile is armed with a warhead fitting 10 multiple independently targetable re-entry vehicles (MIRVs) with a yield of 550 to 750 kilotons each. It has a maximum range of 11,000 km (6,800 miles) with a launch mass of over 210 tons and a payload of 8.8 tons.